As I am in the airport of Lisbon waiting for my flight back to Helsinki, it is a fruitful moment to reflect a bit upon the previous few days. 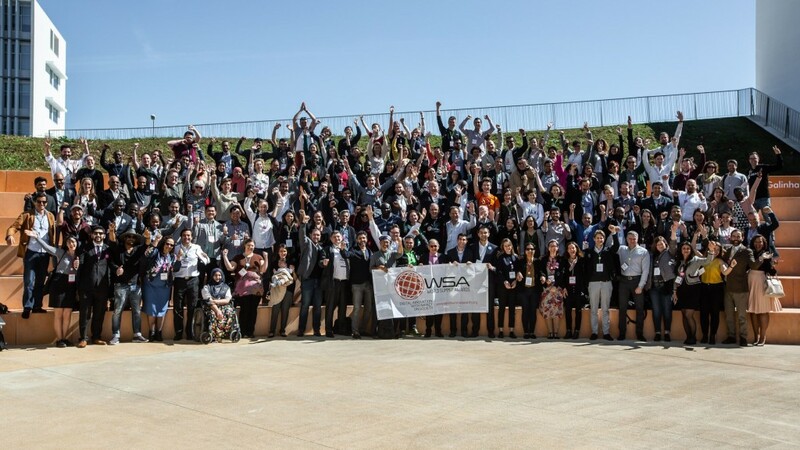 The inspiring UN based World Summit Awards (WSA) 2019 Global Congress was a great experience. I was honored to be part of the event as the National Expert of Finland a member of the global jury. 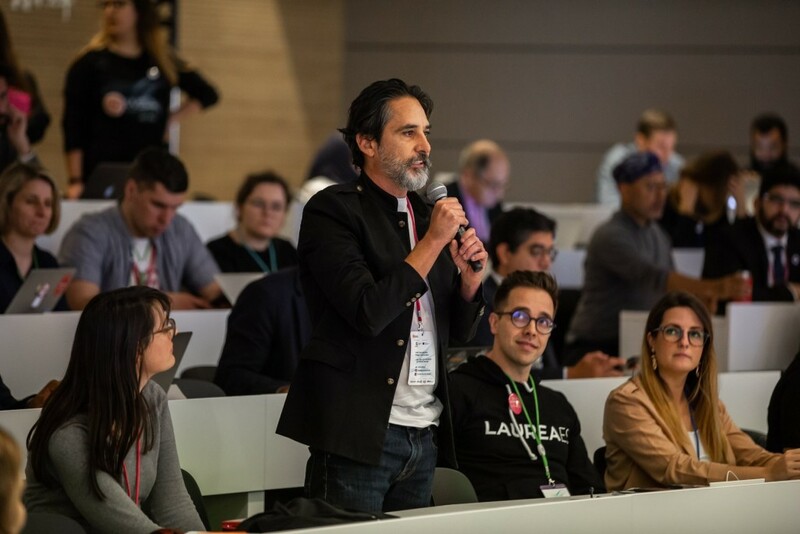 The event presented an exceptional mix of 45 award-winning innovations from tech-startups from around the globe – innovations that solve real problems and support the UN Sustainable Development Goals. 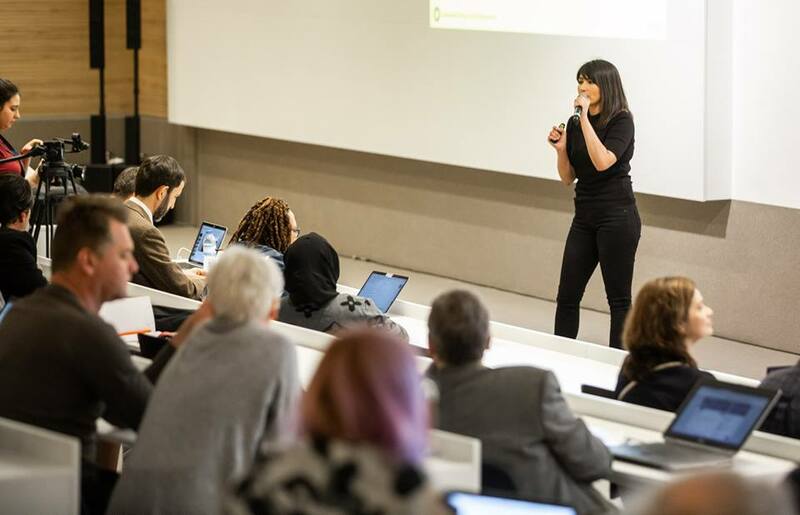 I was excited to evaluate as a juror, learn, engage in discussions and now it is my pleasure to share some of my key takeaways. First off, I must start by saying I am extremely happy: Chaos Architects, a Finnish tech-startup won the global category “Government & Citizen Engagement”. Congratulations Natalia Rincon and Paloma Bautista Sánchez for their amazing performance at the WSA Global Congress. All the best to the Chaos team in Finland as well – you people rock the world and make a difference. I am very proud of you all! Chaos Liveability AI dashboard combines, refines and analyses big data on housing, sustainability and mobility with data on citizen engagement and demographics. The platform is a central data hub bringing together planners, managers, stakeholders and citizens to produce sustainable urban solutions. One of the most interesting educational innovations was Raaji from Pakistan, a chatbot app infuced with both Artificial Intelligence and human expertise. Raaji helps women in rural areas by answering relevant questions connected with health, hygiene and safety among others. Human experts, psychologist, lawyers and doctors are alerted the moment AI detects an emergency allowing them to take over the conversation. The combination between AI and human interaction was highly interesting, and naturally the impact of the solution is enormous. Another interesting innovation was Complete Anatomy from Ireland. It is a 3D human atlas, facilitating the exploration of human anatomy otherwise difficult to visualize without hands-on training. They use VR and AR to help medical students to learn the body anatomy in a completely new way. Using augmented reality, the platform brings to life more than 13,000 body structures. Discover Complete Anatomy 2019 from 3D4Medical on Vimeo. 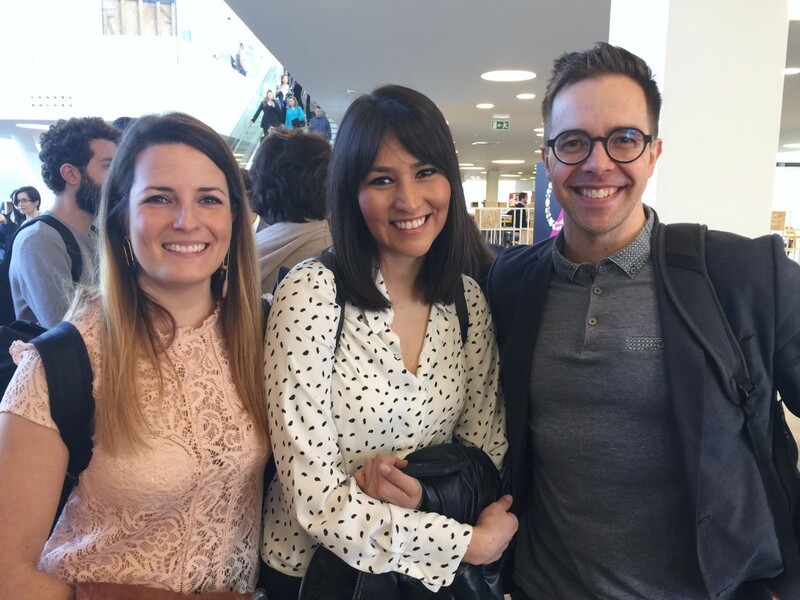 The learning perspective – what does the future like? Based on my experiences at WSA Congress I can sense that the use of Data, Chatbots, AI, VR and AR in learning are finally seeing the daylight in practical solutions. There is an increasing need for individually tailored learning paths, for the benefit of the diverse students. We are experiencing a shift from hype to reality. Raaji, Complete Anatomy, QuickSpeech, among others are good examples of using these features. Naturally, we must not forget the traditional face2face learning methods, but I honestly believe that with digital technologies we can enhance the learning experience and effectiveness of learning. 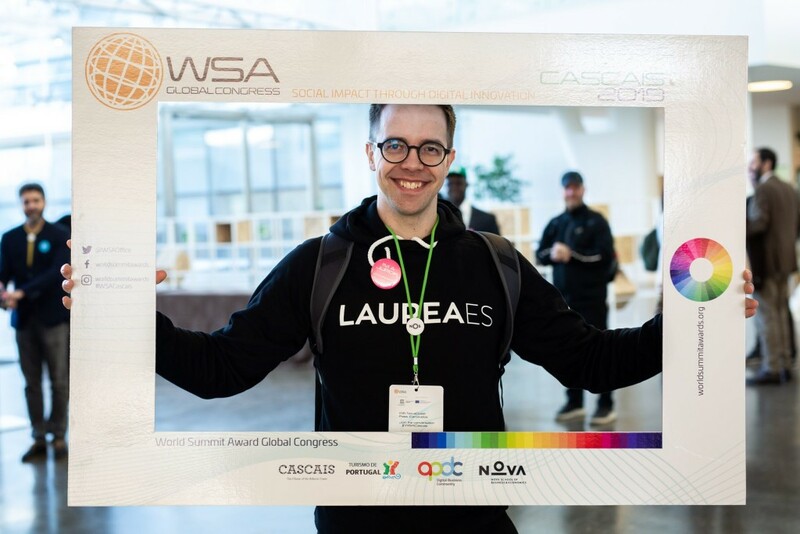 The innovative solutions at WSA 2019 work as a great benchmark for the whole learning and education industry. 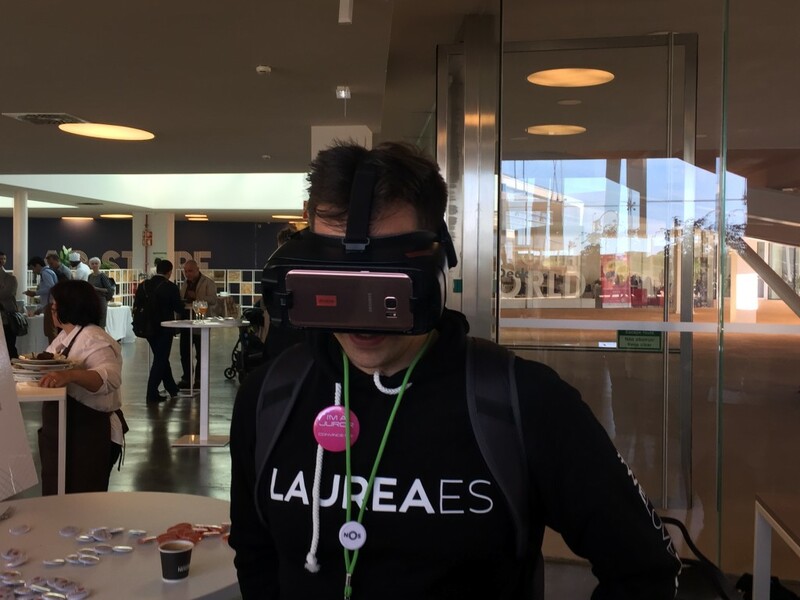 Ilkka is testing a VR solution for education – with the cool LaureaES hoodie on – naturally! 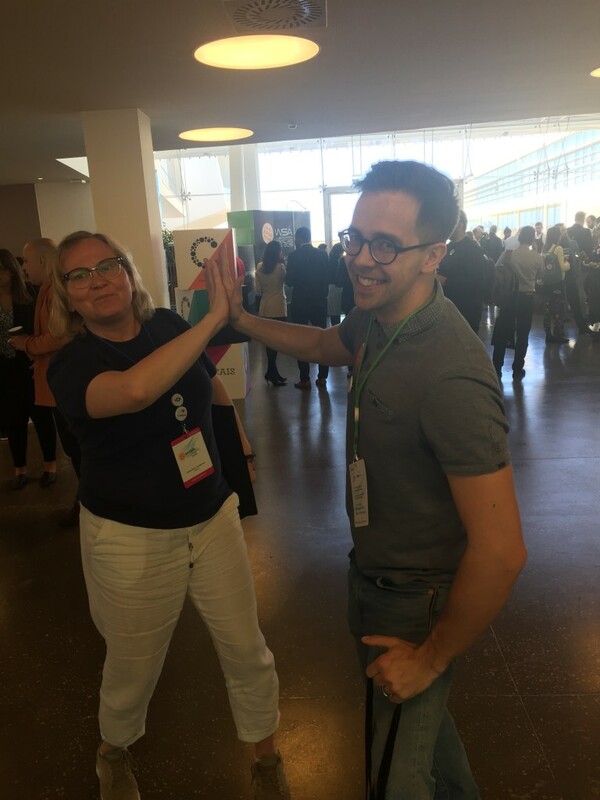 One of the highlights – was a great pleasure to high-five with my friend, a fantastic alumni from Laurea UAS, Carita Savin who is the founder of Huoleti Ltd. that was a shortlisted WSA product 2019 – Boom! Finally, many thanks again to the organizers of the event. I would like to mention especially Manuela Wagner and Nora Wolloch, and of course the WSA Chair Prof. Dr. Peter A. Bruck. I also want to say greetings to the whole community of WSA people – you all make a difference, let us keep up the good spirit to make the world a better place day by day! This entry was posted in Yleinen on 15/03/2019 by Ilkka Kurkela.